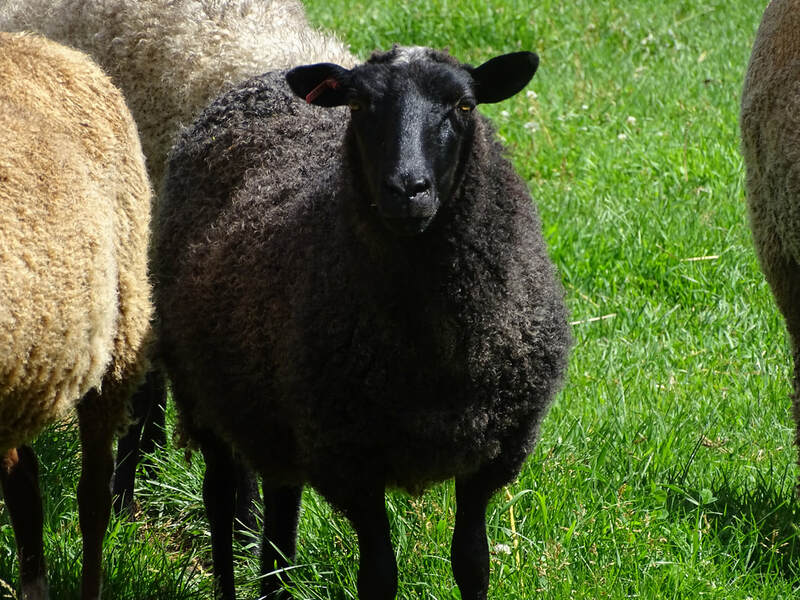 Our Gotlands are three bothers and a sister from Prairie Willows Farm in Chisago Lakes, Minnesota. They are wonderfully friendly sheep with beautiful fleece! Gotland are a modern, Swedish breed developed from the more primitive Goth or Gutefar sheep. Gotland is an unusual wool resembling a fine mohair or an English longwool. Their fleece averages around 8 - 9 pounds with a staple length of 5-7 inches and ranges from a very light silvery gray to black. Gotland fleece can be spun from the lock, combed, or flicked. When spun this fiber makes a heavy feeling yarn with wonderful draping qualities.